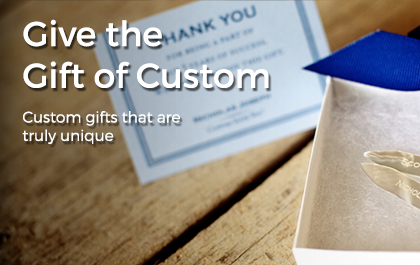 Give the experience of custom clothing made just for him - as featured in Crain’s Chicago Business Luxury Gift Guide. CASHMERE TOP COAT: Most guys don’t have a sharp top coat. In pure cashmere, this top coat will dress you up and still can be worn on the weekend, he needs it. Purchase with credit card via paypal or purchase any amount in-store or over the phone (312) 895-1577. Gift certificates can be emailed by request. All the information your recipient will need to purchase custom clothing through our shop in Chicago or online will be on the gift certificate and you can always call us at (312) 895-1577 with additional questions. For more information on fitting and ordering our custom clothing see Our Process. We’ll email it. Please let us know when checking out or by calling (312) 895-1577 that you would like this option. PREFER TO CALL OR HAVE ADDITIONAL QUESTIONS? Contact Us or call (312) 895-1577. Purchased gift certificates do not expire and are non-refundable. Unused portions of paid gift certificates will be issued as store credit. We occasionally donate gift certificates to benefits and events. These gift certificates are one per customer, per order, and cannot be combined with any other offer or promotion. No cash value, not redeemable for cash, and expiration dates are fixed.